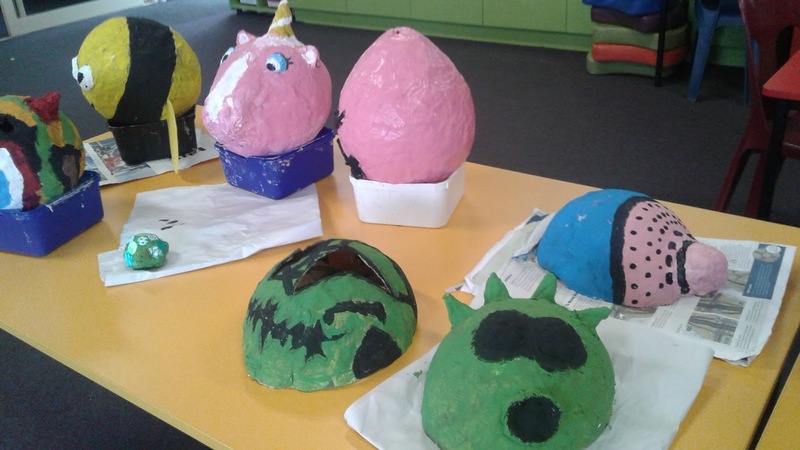 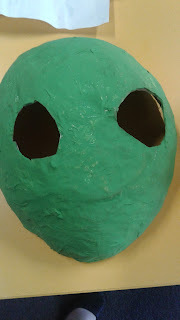 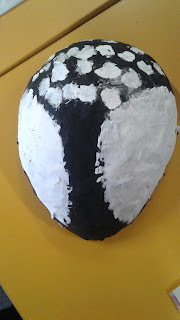 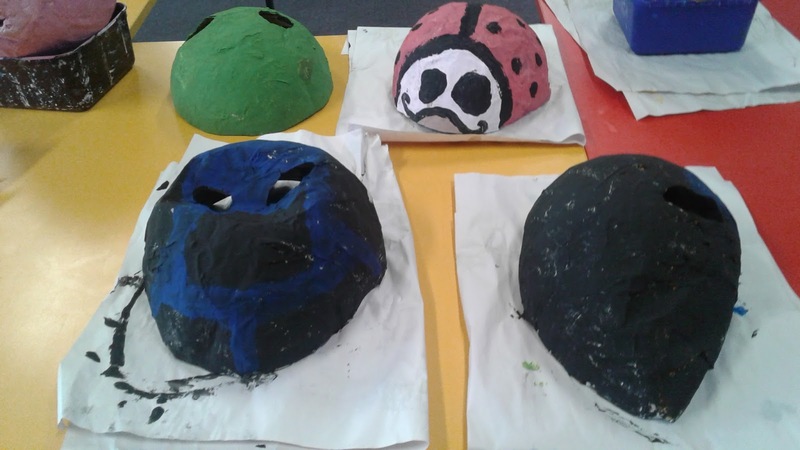 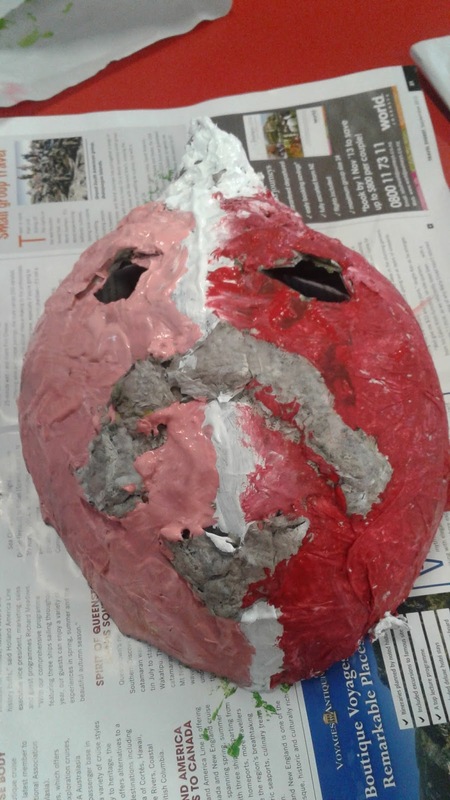 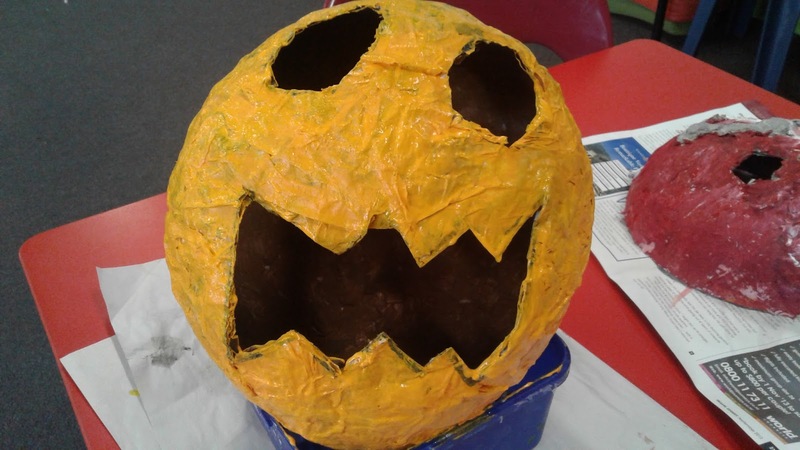 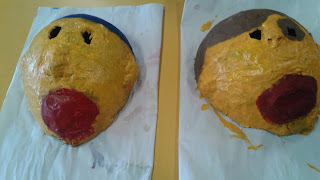 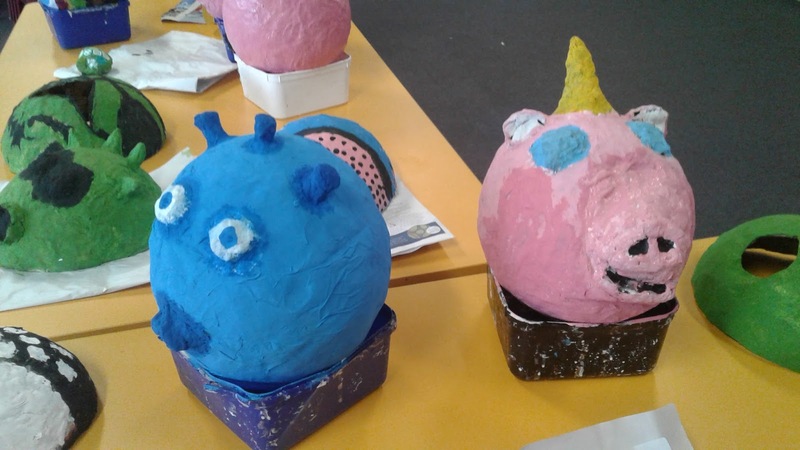 We have finally finished painting our masks or head that we made from paper mache. 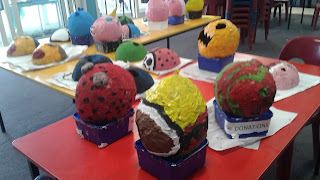 This has been an ongoing project all term and they have turned out really well. 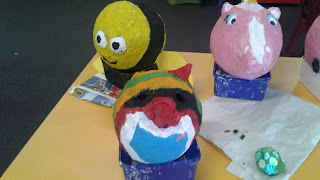 Can you spot the bee, the unipork, the twins and the alien?